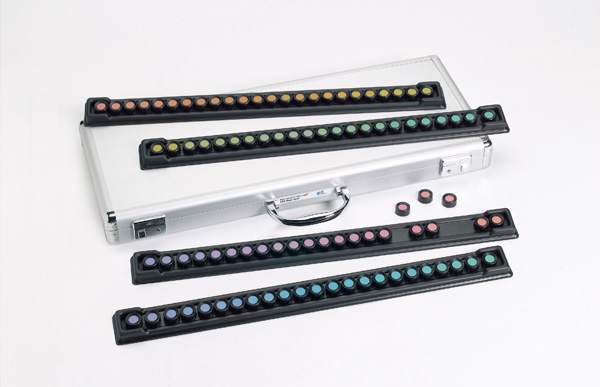 Measures color vision via an interactive system of color tiles – deviation from the correct arrangement is scored as a bar graph identifying areas of color acuity and deficiency. Originally developed as a manual test with movable color tiles. Test yourself, here.